Another of the architectonic elements that is worth a visit is the part of the San Telmo aqueduct, built in 1782 it was the most important hydraulic work of the 18th century in Spain. It was more than 10 km long and provided La Concepcion with one water supply. 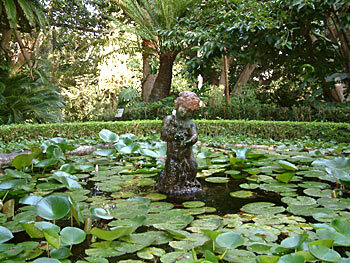 Today the botanical garden is considered a historical-artistic garden, an asset of cultural interest. The diversity of the flora reaches over 2000 species where we must highlight the grove with a few specimens of over 100 years old. Amongst it the subtropical species stand out, like a collection of palm trees, the best in Europe, that has unique specimens of great size, as well as water plants. Carretera de las Pedrizas, s/n (A-45, Km 166) - 29014, Málaga. +34 952 25 21 48. +34 952 25 07 45. From 1st Abril to 30th September: 09:30 h - 20:30 h.
From 1st October to 31st March: 09:30 h - 17:30 h.
Closed the 25th of December and the 1st of January. Children (6 to 16 years): 2.10 Euros. Seniors (over 65): 2.10 Euros. On the following map you’ll be able to observe the botanical garden’s location and a route to get there by car from Malaga airport. The garden is one of those places that all of those nature enthusiasts mustn’t leave without a visit. 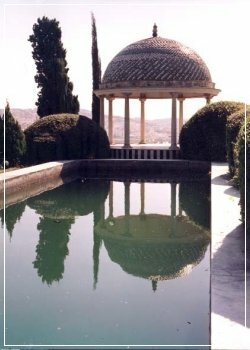 If you don’t have a vehicle hired in Malaga, you can use the bus, that has a line that goes from the main boulevard (alameda) to the botanical garden, the line 61 that runs every 60 minutes.